Virtual Tour Gorgeous and closer to 4,000 SF. Newly painted interior (November 2018) all neutral, hardwood throughout, 42" cherry cabinets with granite & all SS appliances, planning desk, large island with breakfast bar and open feel to FR with cozy FP and wet bar w/sliders to deck. First floor full bath, laundry room and back staircase as well. Large formal Living & Dining Rooms w/ pretty millwork. Sumptuous Master Suite with cathedral ceiling, large walk in closet and luxury bath with whirlpool tub, skylight, dual sinks, granite and separate shower. All bedrooms are spacious with great closet space and a 2nd floor Bonus Room offers tons of extra room. 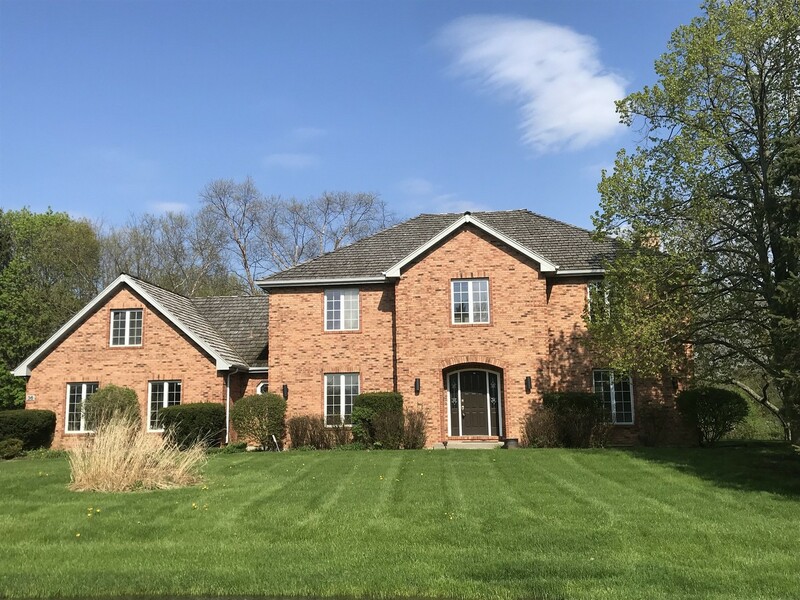 Home is mostly all brick, large 3 car garage, extensive deck, quiet and peaceful lot in Stevenson schools. Beautiful custom built home ready for quick delivery. Immaculate condition - turn key! I was searching on Blue Fence and found this listing. Please send me more information about 36 St John Drive , Hawthorn Woods, Illinois 60047. Thank you.